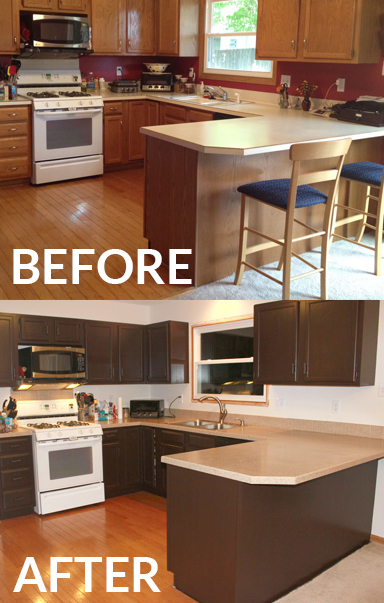 Thinking of refacing your Kitchen Cabinets? Many companies utilize Sears, Lowe's or local installation companies however Reface Supplies offers refacing at lower the cost. Reface Supplies has instructional videos and manuals making the refacing kits perfect for DIYers, Installers, Handymen, Property Owners, Real Estate Investors, Adult Living Facilities and many more. 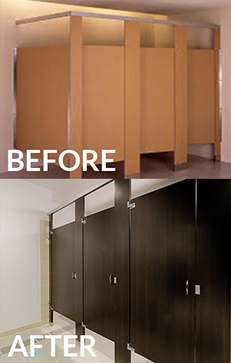 We supply the cabinet doors and a proprietary peel and stick laminate that can be used have the boxes match the doors. All you need is a razor blade and a drill and refacing can be an easy weekend project. Although we supply nationwide, we are available for local pickup in Orange, Lake and Seminole county due to our base here in Winter Garden, Florida just outside of Orlando. 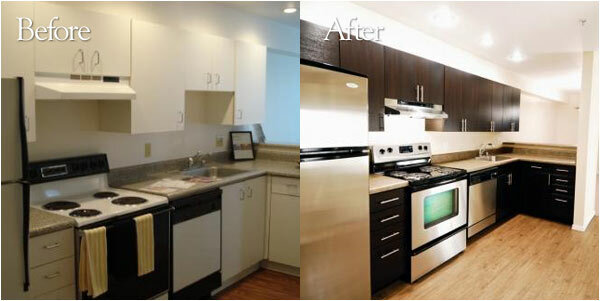 Your local, affordable solution as an alternative to replacing your Orlando Kitchen Cabinets. Did you know that when installing new cabinets there are hidden costs? Replacing the countertop, renting a dumpster, hiring an electrician, hiring a plumber, damage to tile or drywall. Imagine all the trades that need to come together in a Kitchen project. By simply giving your cabinets new door and drawer fronts and refacing the boxes you can get the new look for a fraction of the price. Reface Supplies is looking for independent sales reps who call on office dealers nationwide. 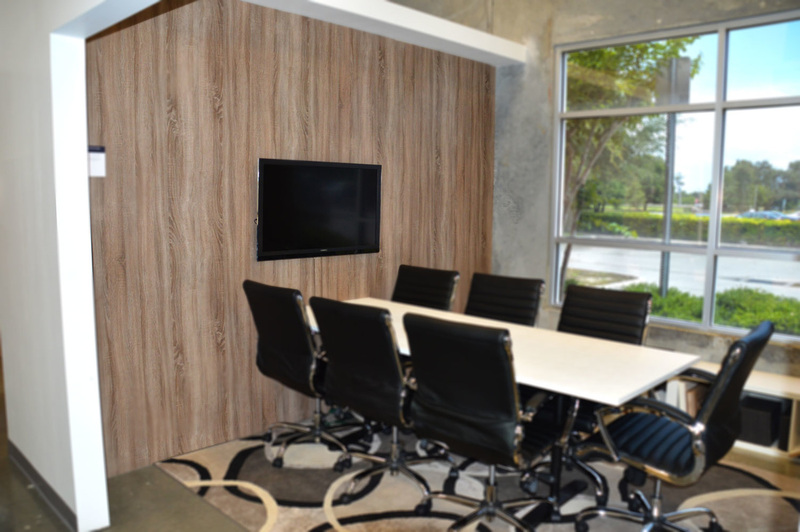 We manufacture Peelstix which is a peel and stick laminate that can be used for refacing old office furniture desktops, file cabinets, over-heads and storage cabinets. Large territories available nationwide. 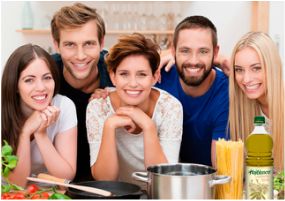 ​​Student housing is another one of those industries that require repair and maintenance on a routine basis. Let’s face it, college dorms and apartments are never going to be known as a place of quiet tranquility where property is valued and nothing is ever destroyed. If they were then, what fun would college be? For this reason, Colleges and Universities all across America have found themselves looking for ways to attract students with nice looking amenities using inexpensive, low maintenance materials that can easily be repaired or replaced when damaged. This is where we come in and save you thousands! Initially, we approached ALF’s with our products knowing they would find value in using them for kitchen & bath cabinet refacing within the residential units. However, we were delighted to discover that their interest went way beyond the intended project scope. 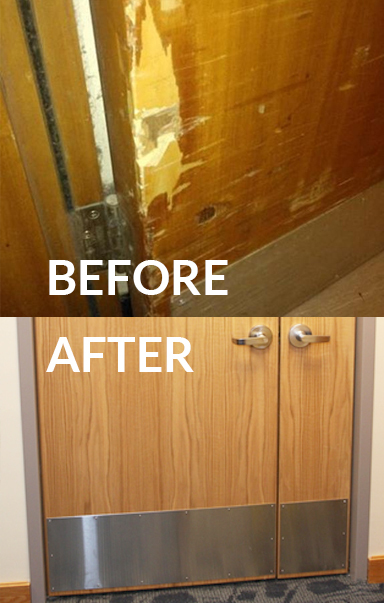 As it turns out, our products are a good fit for refurbishment of fire doors, nurse’s stations, restroom partitions, accent walls, furniture, and the list is growing. We are excited to offer products to ALF’s that we know are saving them thousands of dollars over replacement. Other cost savings are realized when you consider that absolutely all of these items can be refurbished without having to utilize sub-contractors. We currently have a downloadable instruction manual with online videos to follow that ALF maintenance staff can use to install our products with fast turnaround controlled by the director of maintenance. Another feature is our easy online ordering system which is available 24/7, 365 days a year. Peelstix laminate and doors can be ordered in almost all of the unique colors and styles offered. Besides giving a fresh updated look to ALF’s, our products are easy to clean and even repair if necessary. Samples can be ordered on this site under the shop tab. If you have questions and would like to be contacted by a sales representative, please go to the contact us page and a representative will contact you as soon as possible. ​Peel and Stick Laminates are an ideal resurfacing material for desktops, upper cabinets, drawer fronts, panels, and other surfaces in the office environment. On our site dealers, manufacturers , designers and other companies can utilize peel and stick laminates instead of traditional high pressure laminates. Aside from being able to purchase directly from our site, we are also seeking Independent Reps who can call on the office industry in set geographic areas. Be sure to see our booth at NeoCon yearly.